Make sure to accessorise your outfit with this pair of The Joker Gloves, ideal for Villain or Film themes! 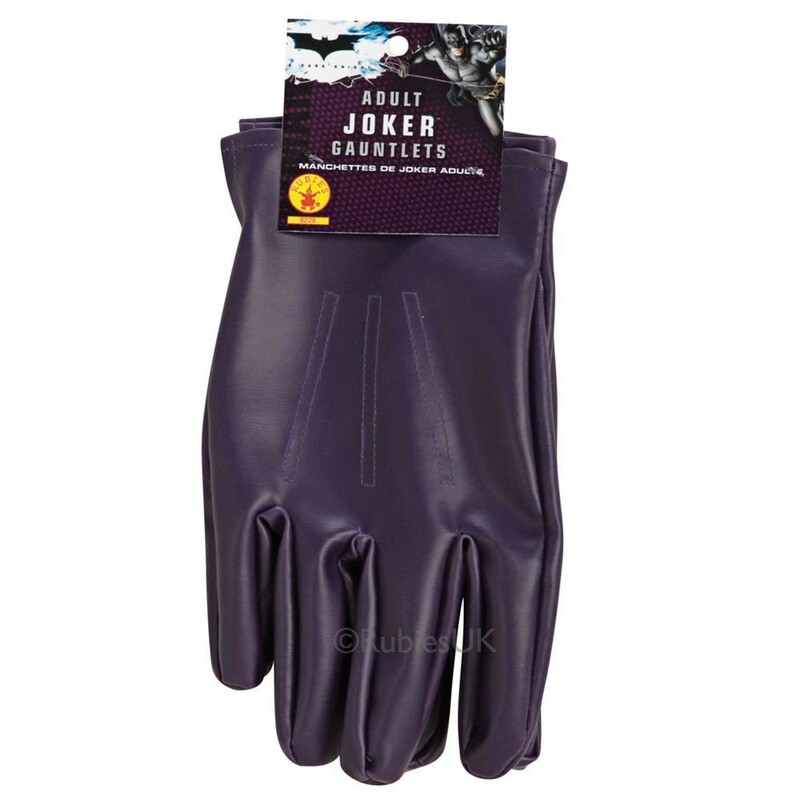 Add the finishing touch to your ‘Joker’ fancy dress costume, with this brilliant pair of licenced purple gloves. As seen in The Dark Knight film; the Joker is a relentless villain, making him the perfect fancy dress go-to for any Film or Villain occasion! The purple gloves are in a deep purple colour and made up of a hard leather-style material. Accessorise your Joker costumewith this fab pair of The Joker Gloves, the perfect accompaniment to your Villain, Film or Halloween inspired costume!